With Father’s day fast approaching, we thought we would inspire everyone to really treat their Dads this year. Father’s day falls on Sunday the 19th of June so you have plenty of time to plan some nice goodies and surprises. Usually Dads don’t have as much fuss made of them as Mums do on Mother’s day. It’s much easier to think of a present for Mums – flowers, perfume, a pampering day and of course the trusty box of chocolates. Chocolates have always been associated with Mother’s day, but why not break with tradition and spoil your Dad with a yummy box of chocs this year? 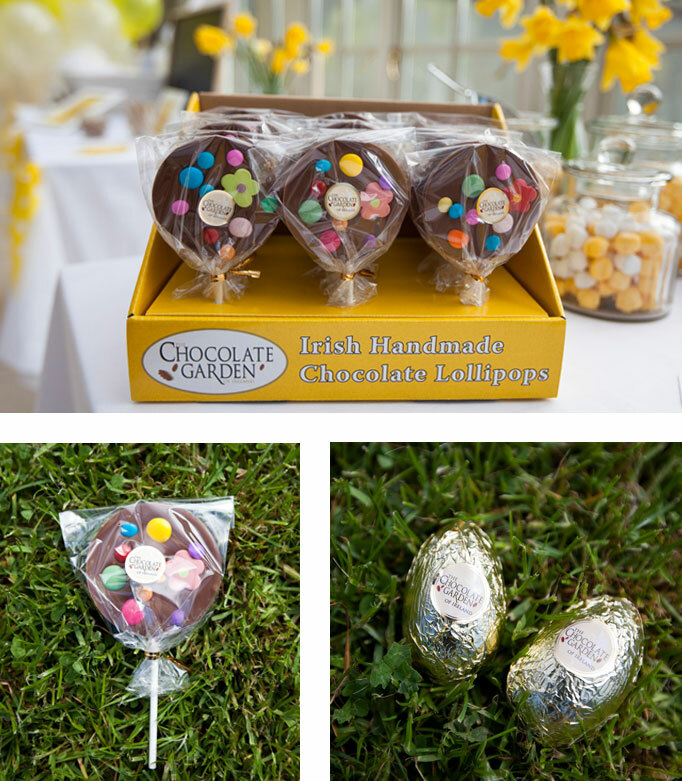 We discovered The Chocolate Garden of Ireland when we were on the hunt (excuse the pun) for some Easter eggs for the egg hunt we organised for our launch party in April. We were looking for an Irish chocolate company to sponsor the hunt, and we very luckily found The Chocolate Garden. We instantly fell in love with their deliciously moreish chocolates and were delighted that the owners Jim and Mary supplied us with some of their gorgeous eggs. We would highly recommend having a taste of these yummy chocolates yourself, and while you’re at it, buy a big box of chocolates or a lovely lollipop for your deserving Dad! Posted on June 15, 2011 by rachel	This entry was posted in blog.